Product categories of Furniture Linear Actuator, we are specialized manufacturers from China, Furniture Linear Actuator, Ergonomic Furniture Actuators suppliers/factory, wholesale high-quality products of Smart Office Actuator R & D and manufacturing, we have the perfect after-sales service and technical support. Look forward to your cooperation! Electric Linear Actuator can be seen in many different appliances,but the most prevalant is for funiture.Furniture Linear Actuator plays a more and more important role in home automation.You can find Ergonomic Furniture Actuators everywhere in your home,such as electric bed,lifting chair,electric sofa,massage chair,kitchen ventilation and so forth.The function for Home Automation Actuators is used to do linear motion,which can be simple or complex.For example,they can be used to shut switches off, turn controls on, raise or lower platforms and pull or push something along a conveyer belt. 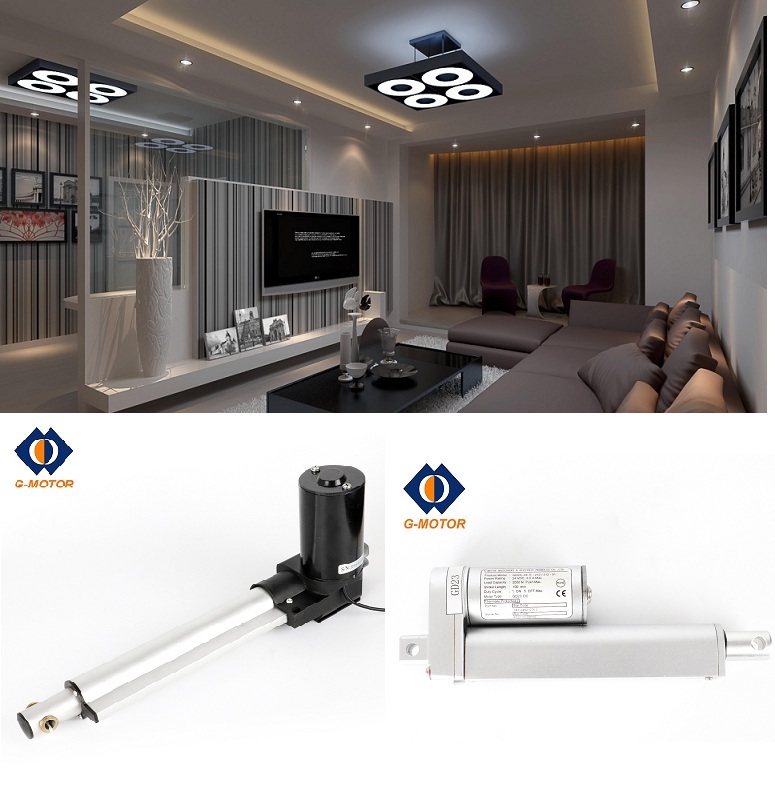 G-motor also provides Linear Actuator For Window Opener,Curtain Linear Actuator.Please contact with us to choose a suitable Linear Actuator for your furniture.